Donika Jones, MPH, BSc, B.A. 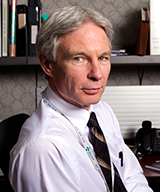 Richard is a Public Health and Preventive Medicine physician recently retired from Alberta Health Services but still enjoying his role as a Clinical Professor in the Department of Community Health Sciences at the University of Calgary. His public health career began as a community medicine specialist with what is now the First Nations and Inuit Health Branch of Health Canada and continued with a sequence of Medical Officer of Health roles within the various manifestations of health services in Alberta. Over the years his areas of responsibility spanned the discipline with an increasingly sharp focus on matters of health equity. A privilege and abiding passion has been the opportunity to learn from and work with Indigenous communities. Benita is an Associate Professor in Nursing at the University of Manitoba, where she focuses on mentoring students to become health equity champions. 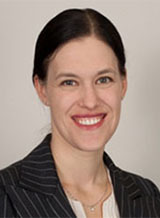 Her research projects have included exploring public health nurses' role in addressing child and family poverty; an equity scan of Canadian tobacco control policy; a health equity impact assessment of a provincial parenting program; development of a conceptual framework of organizational capacity for public health equity action; and a systematic review of public health's role in advocacy for health equity. Benita received the 2013 Community Health Nurses of Canada Award of Merit for her contributions to the field of public/community health. As a CPHA Director, she will work to strengthen public health system capacity to promote health equity and social justice. Katie-Sue works for the Government of the Northwest Territories as the Manager of a program that works across sectors to implement systems change through identifying structural inequities that negatively impact the determinants of wellbeing for the most vulnerable. Prior to this, Katie-Sue was Senior Policy Analyst for Public Health at the Assembly of First Nations. She also conducted research on housing first and mental health recovery in New York City. 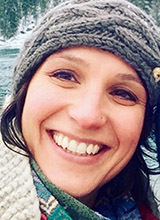 Katie-Sue holds a Master of Public Health from New York University specializing in Global Health Leadership, and a Master of Arts from McMaster University specializing in Indigenous Health Policy. She has an array of global health experience in both non-governmental organizations and the private sector. She is also the co-founder of Katrime Integrated Health. Caitlin is a Program Manager at BC Women’s Hospital + Health Centre. Caitlin’s portfolio includes the Sexual Assault Service, a free provincial contraception program, Oak Tree HIV clinic, and newcomer and primary care services. 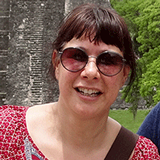 Caitlin leads several community-based research (CBR) and service projects in Canada and abroad. She co-founded, U-Tena Arts and Education Society (U-Tena), registered in Kenya and Canada. U-Tena uses arts-based methods to provide sexual and reproductive health education to communities with low levels of literacy. Caitlin is also the Principal Investigator on a CBR study exploring public influence on sexual assault survivor disclosure. Donika currently works as a Health Promotion Specialist in chronic disease with the Department of Health at the Government of Nunavut. She provides leadership on the territorial chronic disease file. She also works collaboratively with governmental and non-governmental stakeholders to develop and support alcohol harm reduction and cancer screening initiatives. Donika is interested in health equity, social justice and accessible health systems. She is committed to better understanding how these disciplines intersect and interconnect. She currently volunteers with the Nunavut Black History Society. She was awarded the 2017 Governor-General’s Achievement Award in Jamaica for her volunteerism and work within the Jamaican diaspora. Tansi, I am Cree/Métis from the Beaver River area of the prairies and I currently live on the traditional, ancestral territory of the Chippewas of Rama First Nation. I have a history of over 20 years in research in the downtown eastside (DTES) of Vancouver in homelessness, mental health, problematic substance use and opioid replacement. It was there that I was mentored in harm reduction, Indigenous rights and social justice. The remarkable people of the DTES were a fundamental part of my education as they generously shared teachings with me. At present I am working as a consultant in Indigenous Health. I completed a Master of Public Health in 2012 from UBC’s School of Population and Public Health (SPPH). The majority of my time is spent working the The’ye’lh Smun’eem Indigenous Youth Wellness project in my fifth year of study in the PhD program at SPPH. I live and work on the traditional and ancestral Indigenous territory of the Mississaugas of the New Credit. 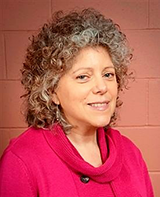 As a Senior Knowledge Translation Specialist at the National Collaborating Centre for Determinants of Health, I lead initiatives focused on public health practice related to health equity and the social determinants of health in partnership with stakeholders across Canada. I have previously worked in regional, provincial and global organizations on HIV/AIDS, tobacco control, equity-oriented organizational change and womens’ rights. I have served in an advisory capacity for working groups and committees led by the Public Health Agency of Canada, Canadian Institute for Health Information and others. As a former board member of the Health Equity Council (Ontario), I provided leadership and informed health equity initiatives in the Ontario context. I hold a Master of Health Science in Health Promotion and Global Health from the University of Toronto and I am interested in how public health approaches can be better informed by critical social science perspectives. 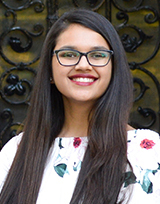 Manasi is a first-year medical student at McMaster University and received a Bachelor of Health Sciences (Honors), with a specialization in Global Health from McMaster University. Manasi founded the McMaster Public Health Association and has a keen focus in engaging students and young professionals in public health. She is also spearheading a Technology in Public Health working group. Manasi was a panelist on a World Leadership Dialogue at the World Congress on Public Health last year, which was focused on highlighting her work with engaging students and young professionals in public health in Canada. She was also selected to attend the Women Leaders in Global Health conference at Stanford University and has presented her research at the World Congress on Public Health, Public Health 2017 and the American Public Health Association’s Annual Conference (2017). Her interests include technology in public health, student engagement in public health, improving access to healthcare and health systems and policy evaluation. In her free time, she enjoys hiking and exploring new bike trails. 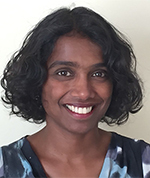 Vamini is a family physician with experience in primary care, emergency medicine and women’s health in Canada and the developing world. She has practiced medicine in several rural, remote and indigenous communities in Canada. Her educational background includes a Doctor of Medicine degree from the University of Toronto, Family Medicine training at the University of Ottawa and she is completing a Master of Public Health (health promotion) at the University of Alberta. She has been involved with projects promoting sexual health in Alberta, improving access to cancer screening programs in rural Africa and Central America, and is currently working to address workplace injuries and discrimination related to immigrant workers. She serves on the Board of Directors for the Bow Valley Primary Care Network and the Health Committee of the Bow Valley Immigration Partnership. Julie is currently the Manager of Population Health Assessment with Peel Public Health. 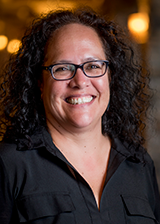 With a Masters of Health Science in Epidemiology and Bachelor of Science in Environmental Health, Julie has over 20 years of experience in public health as a public health inspector and epidemiologist. In addition, Julie has completed an EXTRA (Executive Training Program) fellowship with the Canadian Foundation for Healthcare Improvement with a focus on enhancing public health staff competencies around the use of health data; specifically in the areas of assessment and analysis, and the public health sciences. She has been treasurer, vice-president and president for the Association of Public Health Epidemiologists in Ontario. 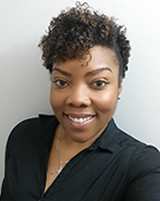 Her interests and areas of expertise include epidemiologic methods, and using health status data to inform strategic thinking and planning. Dr. Ingrid Tyler is a Medical Health Officer at the Fraser Health Authority in British Columbia and is the Medical Director for the Wellness Program within Population and Public Health. In this role she works directly with communities and municipalities across the full spectrum of public health practice and provides direction to the Healthy Communities and Healthy Schools Programs. She also supports strategy and coordination for healthy living initiatives in mental wellness, physical activity, healthy eating and tobacco. She recently held an interim role at Fraser Health Authority as the Medical Director for the Communicable Disease and Harm Reduction Program during the early phases of the emergency opioid overdose response. Prior to Fraser Health she worked at Public Health Ontario in the areas of health promotion, chronic disease and injury prevention.